Joseph Brooks is a board-certified radiation oncologist. He received his medical degree from Thomas Jefferson University in Philadelphia, PA, and completed his residency in radiation oncology at the National Cancer Institute (NCI) in Bethesda, Maryland. Prior to relocating to Boise, Dr. Brooks was a major in the US Army and was Chief of Radiation Oncology at Madigan Army Medical Center in Tacoma, WA. He has been the principle investigator on several clinical studies focusing on improved tumor targeting in prostate cancer. He has a strong interest in prostate cancer and brain tumors. 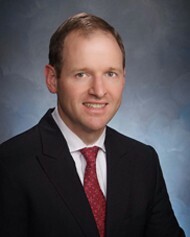 He is currently the Medical Director of the Saint Alphonsus Radiation Oncology Clinic in Boise and Caldwell. He is a member of the American Society of Radiation Oncology.